Marsaxlokk Harbor. 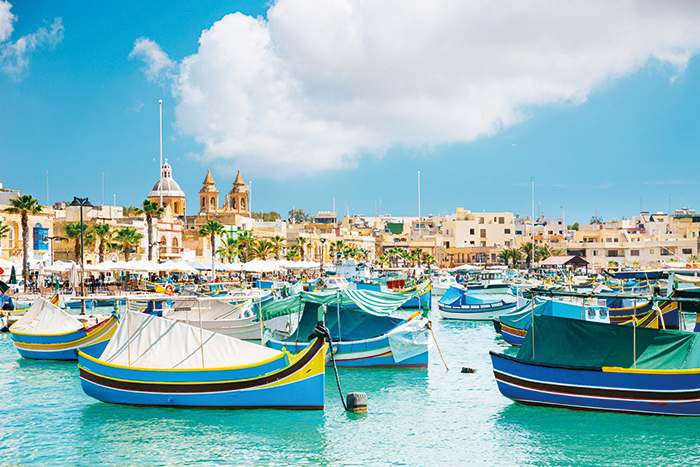 Marsaxlokk in Malta is a fishing village in the Southpart famous for its fish market, colourful boats and fish restaurants. Book and pay in full before 28 February for 10 per cent savings on Silversea’s Northern Europe 2018 cruises, including Silver Spirit’s Northern Europe & British Isles cruise from Stockholm to London (Tilbury). *10-day Northern Europe & British Isle cruise, from £3,420pp (two sharing) cruise only, departs 31 August 2018, includes all-inclusive drinks, free wifi and onboard gratuities (0844 251 0837; silversea.com). Visit India’s Golden Triangle – Jaipur, Delhi and Agra – before boarding Voyages to Antiquity’s Aegean Odyssey in Mumbai to sail the Maldives, Sri Lanka and the Malay Peninsula. There are calls at Phuket in Thailand plus Kuala Lumpur, finishing with two nights in a Singapore hotel. *29-day The Golden Triangle to the Strait of Malacca, from £5,895pp (two sharing), departs 1 January 2019, and includes 14 tours, four hotel stays, onboard gratuities and wine with dinner, transfers, plus return flights (01865 565816; voyagestoantiquity.com). Silversea’s newly refurbished vessel Silver Cloud has become an ice-class ultra-luxury expedition ship sailing the Arctic and Antarctic including round trips from Argentina’s Ushuaia – the southernmost city in the world. *10-day Antarctica Expedition, from £9,200pp (based on two people sharing) cruise only, departs 22 November 2018, and includes expeditions, all-inclusive drinks, free wifi and onboard gratuities (0844 251 0837; silversea.com). Oceania Cruises’ Nautica has free unlimited wifi and a choice of either eight excursions, a beverage package or $800 onboard credit for its April cruise from Bangkok in Thailand to Mumbai in India. *18-day Vibrant Cultures cruise, from £6,399pp (two sharing), departs 11 April 2018, and includes return flights (0345 505 1920; oceaniacruises.com). Holland America Line’s recently refreshed MS Westerdam has new immersive voyages called EXC In-Depth offering regional culinary and cultural demonstrations and interactive workshops with local artisans. Its Far East Discovery cruise leaves Hong Kong for Vietnam and Cambodia. There are also calls to Hainan, China, and Laem Chabang in Thailand for excursions to Bangkok. *14-night Far East Discovery cruise, from £1,999pp (two sharing), departs 12 November 2018, includes flights and transfers(0344 338 8605; hollandamerica.com). Arblaster & Clarke specialises in unique, high-quality, cruises such as its wine tasting tours from the comfort of the luxury privately chartered sailboat Le Ponant in the Tyrrhenian Sea off the west coast of Italy. 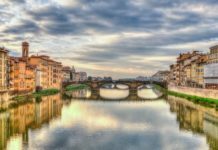 *Eight-day Cruising The Tyrrhenian Sea, from £6,750pp (two sharing) departs 4 July 2019, and includes all visits and tastings plus wine with meals (01730 263111; arblasterandclarke.com). This dedicated Wellness cruise is Seabourn Odyssey’s round trip from Athens to islands off Greece’s southern coast including Mykonos, Crete, Naxos and Rhodes. *14-day Origins of Wellness cruise, departs 6 October 2018, from £5,299pp (two sharing) cruise only, including drinks and gratuities (0344 338 8615; seabourn.com). Take a fly-cruise on Queen Elizabeth from Brisbane to Hong Kong and see Papua New Guinea, Osaka, Kochi, Hiroshima, Kagoshima and Nagasaki, plus Shanghai and Beijing. *28-night Brisbane to Hong Kong cruise, departs 3 March 2018, from £4,749pp including flights and transfers (01246 819819; bolsovercruiseclub.com). Saga’s flagship Saga Sapphire has gone all-inclusive, with selected free drinks joining its no onboard gratuities pledge. And you can get £250 per person savings by booking now on its Isle Of Man and the TT, round trip from Dover. 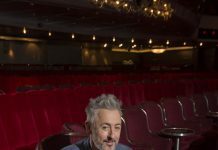 After full days in Dublin and Liverpool, the main focus of the cruise is the TT motorbike races on the Isle of Man, and there’s an option for tickets in the grandstand to watch the exhilarating world-famous event. *Seven-night Isle Of Man and the TT cruise, departs 29 May 2018, from £974pp (two sharing) including drinks, gratuities and door-to-door chauffeur transfers (0808 223 0914; travel.saga.co.uk). Escape to the Caribbean and save £130 on a 13-night fly-cruise with Marella (formerly Thomson) if you book now. *14-day Escape to the Caribbean fly-cruise, departs 7 December 2018, from £1,200pp (based on two adults sharing) including flights (from Birmingham), transfers and gratuities (tui.co.uk/cruise). Greek islands specialist Celestyal has a new Aegean cruise on sale with a £70 discount (€80) if you book now. The Athens round trip includes an overnight stay in Mykonos and another overnight in Santorini. 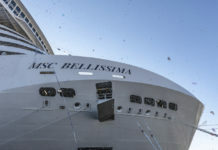 (+30 216 400 9637; celestyalcruises.uk). Marella’s popular Cuban Fusion Caribbean fly-cruise comes with a £95 discount if you book now. The Montego Bay, Jamaica, round trip visits the Cayman Islands before a two-day stop in Havana, Cuba’s capital, then Cozumel on the way back to Jamaica. *Seven-night Cuban Fusion fly-cruise, departs 4 December 2018, from £1,256pp (two sharing) including flights, transfers and gratuities (tui.co.uk/cruise). Titan’s Essential Collection includes a 15-day Cruise & Maritime Voyages cruise on Columbus that takes its 775 passengers from London Tilbury to St Petersburg and back. Book before 31 March for a Saver Fare. *14-day Grand Baltic Cities & St Petersburg cruise, departs 16 May 2018, from £1,659pp (two sharing) including VIP door-to-door travel service (0800 988 5175; titantravel.co.uk/cruiseinternational). Voyages to Antiquity’s epic new 51-day cruise from Singapore to Cape Town includes three safaris. *51-day Grand Asia, Indian Ocean & South Africa cruise, from £8,995pp (two sharing), departs 23 January 2019, and includes 21 tours, three hotel stays, onboard gratuities and wine with dinner, plus return flights (01865 565816; voyagestoantiquity.com). Book before 28 February for savings on Hapag-Lloyd Cruises’ Singapore to Sri Lanka golf cruise with excursions available on its newest ship, Europe 2. The bilingual cruise (German is the main language) goes to Malaysia and Thailand before reaching Sri Lanka, with golf available at Port Kelang near Kuala Lumpur and Phuket in Thailand. *12-day From Singapore to Colombo, departs 22 April 2018, from £3,910pp (based on two adults sharing) cruise only, including drinks (0800 051 3829; hl-cruises.com). This new itinerary visits Porto; Bilbao, near La Rioja; Bordeaux, and Ile d’Aix in Brittany – a centre of gastronomy. Sail around Britain’s islands in style on Queen Victoria with a Bolsover Cruise Club offer that takes you from Southampton over to Ireland for a day in Cobh, near Cork, and another in Dublin, then up to Scotland as far as the Orkney Islands. *13-night British Isles cruise, departs 12 May 2018, from £1,388pp (01246 819819; bolsovercruiseclub.com). Low deposits and £173 fares for third and fourth passengers sharing a stateroom are on offer for Princess Cruises’ Baltic Heritage round trip from Southampton when booked before 28 February. *14-night Baltic Heritage, departs 8 September 2018, from £1,799pp (based on two sharing) (0344 338 8672; princess.com). The Harmony G super yacht’s guests visit Spanish sherry bodegas and wineries and sample port in Portugal during Arblaster & Clarke’s Wine Cruise of the Spain and Portugal Coast. There are also visits to Granada’s superb Alhambra fortress. *Eight-day Wine Cruise of the Spain & Portugal Coast, from £3,995pp (two sharing) departs 9 June 2018, and includes visits and tastings plus wine with meals (01730 263111; arblasterandclarke.com). For an adult-only getaway why not try Bolsover Cruise Club’s eastern Med cruise on P&O Cruises’ mid-size ship Oriana. The return trip from Southampton calls at a mix of small ports and classic destinations including Sarande in Albania, Zadar in Croatia and Cagliari on Italy’s beautiful island of Sardinia, but also Venice and Dubrovnik. *19-night Spain, Italy and Croatia cruise, departs 23 May 2018, from £1,296pp (01246 819819; bolsovercruiseclub.com). Leave San Francisco for some of the world’s most exciting ports, including Mexico Acapulco and Colón in Panama after a daylight transit of the Panama Canal. Regatta continues to Cuba for a day in Havana before disembarking in Miami, and has free wifi and either free excursions, drinks or $800 onboard credit. *18-day Pacific Treasures cruise, from £6,439pp (two sharing), departs 8 October 2018, and includes return flights (0345 505 1920; oceaniacruises.com). 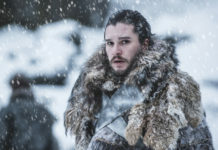 Viking’s In Search of the Northern Lights itinerary sails from London (Tilbury) to Bergen or vice versa and calls at Norway’s northernmost ports, including an overnight in the lovely Arctic town of Tromsø. *13-day In Search of the Northern Lights fly-cruise, departs January 13, 2019, and other dates, from £4,295pp (two sharing) including flights, transfers and six guided tours (0800 298 9700; vikingcruises.co.uk). Join the inaugural cruise on Norwegian Bliss, when it sails from Southampton to New York calling at Ponta Delgada in the Azores and Halifax, Nova Scotia. *12-day Transatlantic from Southampton cruise, departs 21 April 2018, from £1,079pp (based on two adults sharing) cruise only (0333 241 2319; ncl.com). Formerly P&O Cruises’ Adonia, Azamara Pursuit has been updated to fit into Azamara’s boutique-style all-inclusive ethos. During its summer in Europe it will sail a return trip from Southampton to Iceland. *15-night Wonders of Iceland Voyage, departs 13 August 2018, from £5,339pp (based on two sharing), including drinks, tips and shuttle buses in ports (0844 493 4016; azamaraclubcruises.co.uk). Book now to get £132 discounts on Marella’s Colourful Coasts itinerary, a round trip from Tenerife taking you to three more Canary Islands, Madeira and Morocco for some winter sunshine. With all-inclusive drinks packages available, no gratuities and low deposits, the Marella Dream cruise also comes with return flights. Pre- and post-cruise stays available. *Seven-night Colourful Coasts fly-cruise, departs 14 December 2018, from £688pp (two sharing) including flights, transfers and gratuities (tui.co.uk/cruise). Get £89 off a taste of Greece in spring by booking now for Celestyal’s four-day Iconic Aegean cruise. The round trip from Athens arrives in Mykonos in time for its sunset, leaving late, and has an evening in Patmos. *Four-day Iconic Aegean cruise, departs 2 April 2018, from £445pp including a drinks package, gratuities and two excursions (+30 216 400 9637; celestyalcruises.uk). Pay just five per cent deposit on Princess Cruises’ epic voyage from Chile to California next March if you book by 28 February. The cruise on Royal Princess calls at Coquimbo for excursions to Spanish colonial La Serena in Chile then sails to Peru for an overnight in Callao near Lima. Calls include Costa Rica, Nicaragua and Puerto Vallarta, Mexico. *16-night Andes & South America cruise, departs 7 March 2019, from £2,974pp (two sharing), including return flights and transfers (0344 338 8672; princess.com). Take advantage of Bolsover’s price drop on its 30-night round trip from Southampton to New York and up Canada’s east coast to Quebec on board P&O Cruises’ Arcadia. *30-night USA and Canada cruise, departs 3 September 2018, from £2,539 (01246 819819; bolsovercruiseclub.com). Third and fourth passengers sharing a stateroom save more than £1,000 each on Princess Cruises’ low deposit deal for its Malaysian Peninsula & Indonesia trip in November. Book by 28 February. *10-night Malaysian Peninsula & Indonesia cruise, departs 28 November 2018, from £2,524pp (two sharing), including return flights and transfers (0344 338 8672; princess.com). Solo travellers can get special deals with Azamara Club Cruises, paying just a 25 per cent supplement on top of the normal double occupancy fare on selected cruises. These include its Oman, Luxor and Israel cruise. *17-night Oman, Luxor & Israel voyage, departs 26 April 2018, from £3,918pp (based on two sharing), cruise only, including drinks and gratuities (0844 493 4016; azamaraclubcruises.co.uk). Book now for an NCL Transatlantic crossing from New York to Southampton that includes additional ports for a bargain last-minute price. *12-day Transatlantic from New York fly-cruise, departs 15 April 2018, from £799pp (two sharing) cruise only (0333 241 2319; ncl.com). Bolsover Cruise Club is offering luxury in the Mediterranean with its seven-night trip from Monte Carlo to Barcelona on Crystal Serenity. *Seven-night Monte Carlo to Barcelona cruise, departs 12 August 2018, from £2,067pp cruise only, with gratuities (01246 819819; bolsovercruiseclub.com). Enjoy a three-day safari in South Africa and four nights in Cape Town during Voyages to Antiquity’s Grand Indian Ocean and Southern Africa cruise-tour. *63-day Grand Indian Ocean and Southern Africa holiday, from £10,250pp (two sharing), departs 10 February 2019, and includes 22 tours, onboard gratuities and transfers plus return flights (01865 565816; voyagestoantiquity.com). Join a reindeer safari, try elk cheese and visit a picturesque German island that was locked behind the Iron Curtain on Saga’s visit to the lands of the midnight sun. The round trip itinerary from Dover includes Arendal on Norway’s Galtesund fjord and Sweden’s Örnsköldsvik, Umeå and Luleå plus Germany’s Sassnitz resort town with white-sand beaches. *14-night Islands of Bothnia cruise, departs 6 June 2018, from £2,659pp (two sharing) including drinks, gratuities and door-to-door chauffeur transfers (0808 223 0914; travel.saga.co.uk). Bolsover Cruise Club is offering an exceptional no-fly cruise deal from Southampton to Greece and back on Queen Elizabeth in May. *17-night Greece & Gibraltar cruise, departs 24 May 2018, from £1,859pp (01246 819819; bolsovercruiseclub.com). Passage to India is a new itinerary for Viking Ocean Cruises, with ports of call including Haifa then on to Cairo before transiting the Suez Canal to visit Aqaba in Jordan for trips to Petra and on to Oman, finishing in Mumbai. *21-day Passage to India fly-cruise, departs 19 August 2018, from £6,545pp (two sharing) including flights, transfers, and nine guided tours (0800 298 9700; vikingcruises.co.uk). Seabourn celebrates its 30th anniversary this year with 2018 Signature Savings Events, and offers available until 13 March. These include suite upgrades and £500 air credits available on dozens of cruises. *25-day Java Sea & the Coral Coast, departs 26 November 2018, from £7,999pp (based on two sharing) cruise only, including drinks and gratuities (0344 338 8615; seabourn.com). Azamara Club Cruises has several deals offering 50 per cent off a second guest and free wifi, including its Baltic & World Cup Voyage. *12-night Baltic & World Cup Voyage, departs 13 June 2018, from £3,869pp (two sharing), including drinks, gratuities and shuttle buses in ports (0844 493 4016; azamaraclubcruises.co.uk). Barrhead Travel’s superb package for a sunny Western Mediterranean itinerary on Celebrity Cruises’ Celebrity Eclipse sails round trip from Barcelona. Ports of call include Spanish cities Valencia, home of paella, Alicante and Málaga then it’s on to France’s Nice then Florence, Rome and Naples in Italy. *12-night Western Mediterranean cruise, departs 11 September 2018, from £1,568pp (two sharing an inside stateroom) including return flights from London Gatwick (0808 149 7954; barrheadtravel.co.uk). Viking Ocean Cruises’ new India to Thailand itinerary will launch in September with overnight stops in Mumbai (formerly Bombay) Colombo on Sri Lanka and Bangkok. The culture-rich cruise will include special tours including shopping in a traditional Bangkok market. Other stops feature Goa and Singapore. *16-day Across the Bay to Bengal fly-cruise, departs 8 September 2018, from £4,365pp (two sharing) including flights, transfer, and eight guided tours (0800 298 9700; vikingcruises.co.uk). A last-minute fly-cruise deal to the Western Caribbean on Norwegian Cruise Line’s Norwegian Dawn will take you from Tampa in Florida to Mexico’s resort island of Cozumel and Costa Maya to see Mayan ruins, plus a day at Roatan. *10-day Western Caribbean from Tampa fly-cruise, departs 1 April 2018, from £1,591pp (two sharing) including return flights and transfers (0333 241 2319; ncl.com). From the British colonial architecture of Mumbai to the glistening glass towers of Dubai, this Arabian Nights trip from Bolsover Cruise Club on luxurious Crystal Serenity is a heady experience. *11-night Arabian Nights cruise, departs 15 April 2018, from £4,584pp cruise only, including drinks and gratuities (01246 819819; bolsovercruiseclub.com). Explore the world-renowned city of canals and bridges, Venice, on this great-value fly-cruise package from Barrhead Travel. Sailing on board MSC Cruises’ MSC Musica, ports of call include Brindisi, Italy; Katakolon, Santorini, Corfu in Greece; and Montenegro’s pretty town of Kotor. *7-night Italy, Greece, Montenegro fly-cruise, departs 1 April 2018, from £1,115pp (based on two sharing) including return flights (0808 149 7954; barrheadtravel.co.uk). Holland America Line has a cracker of a deal on MS Westerdam with its North Pacific Crossing from Vancouver to Yokohama in Japan. After scenic cruising of Alaska’s Inside Passage and Glacier Bay plus calls at Juneau and Kodiak, there’s time to relax at sea before arriving in Japan’s Hakodate and Yokohama. *14-night North Pacific Crossing cruise, from £1,299pp (two sharing), cruise only, departs 30 September 2018 (0344 338 8605; hollandamerica.com). Enjoy a jazz at sea cruise with Ponant as its new ship Le Lapérouse sails from Lisbon on Portugal’s Atlantic coast to Civitavecchia in the Mediterranean, stopping at Malaga for excursions to Granada and Altea. Majorca, Menorca and Corsica are also on the itinerary. *Eight-night Iberian Shores cruise, departs 13 September 2018, from £3,554 (€3,990), cruise only, including all drinks (+33 4 88 66 64 00; en.ponant.com). Spend two nights in a four-star Hong Kong hotel and enjoy a free half-day tour of the island before boarding Royal Caribbean’s Ovation of the Seas on a return trip cruise that takes you to Japan’s Fukuoka, Nagasaki, Kumamoto and Shimonoseki for this great-value Cruise Direction holiday. *13-night Journey to Japan cruise and stay, departs 13 May 2018, from £1,499pp (two sharing) including return flights and transfers, hotel and cruise (0800 0125 888; cruisedirection.co.uk). Island hop in style on Oceania Cruises’ Riviera in a round trip from Athens that calls at Crete, Rhodes, Santorini and Patmos as well as Sicily and Malta. This October cruise comes with free wifi and either free excursions, a drinks package or $600 onboard credit. *10-day Glorious Greece cruise, from £3,239pp (two sharing), departs 14 October 2018, and includes return flights (0345 505 1920; oceaniacruises.com). From Peru’s Machu Picchu Inca citadel to its ancient Nazca Lines in the desert this Bolsover Cruises Club package from Valparaiso in Chile to Colon in Panama with Crystal Cruises is a once in a lifetime experience. A two-day stop at Callao near Lima gives the opportunity to visit Machu Picchu or visit the Galápagos Islands but there is the chance to explore historic towns and see wildlife in the national parks. *13-night Incan Echoes cruise, departs 6 April 2018, from £4,205pp cruise only, including drinks and gratuities (01246 819819; bolsovercruiseclub.com). Watch the Bristol International Balloon Fiesta, catch the famous Edinburgh Tattoo and watch out for whales on Saga’s Western Skies & Scottish Isles cruise that includes a maiden call at Campbeltown. Once considered the capital of whisky, there are still three distilleries to visit here on the Kintyre peninsula. Saga Pearl II also calls at Scrabster on Scotland’s northern coast, close to the late Queen Mother’s Castle of Mey. *13-night Western Skies and Scottish Isles cruise, departs 8 August 2018, from £2,099pp (two sharing) including gratuities, wine with dinner and door-to-door chauffeur transfers (0808 223 0914; travel.saga.co.uk). Seabourn has introduced dedicated Wellness cruises with an enrichment programme by American holistic health guru Dr Andrew Weil. The first is on Seabourn Sojourn from Vancouver to Alaska in June. Scenic cruising through Queen Charlotte Sound, Misty Fjords, Stikine Strait and more gives plenty of time for more than 20 free lectures and demonstrations on health, ageing, meditation, sleep, stress and nutrition. Ports include Wrangell, Sitka, Haines and the Inian Islands. *12-day Wellness in the Wilderness with Dr Weil cruise, departs 16 June 2018, from £5,327pp (two sharing) cruise only, including drinks and gratuities (0344 338 8615; seabourn.com). Enjoy New Orleans’ jazz culture and a free tour of Southern plantation houses along the Mississippi during a three-night hotel stay before joining Royal Caribbean’s Vision of the Seas on this Cruise Direction package. The seven-night cruise will take you to Royal’s private island resort CocoCay and on to the Bahamas’ capital Nassau before returning to New Orleans via Key West on the southern tip of Florida. Holland America’s more intimate 1,258-passenger MS Maasdam has four immersive Asian cruises in winter 2018/19 including a round trip from Singapore starting with a night on board before sailing to Malaysia and Thailand then on to Sri Lanka. *20-night Indian Ocean Explorer cruise, from £2,499pp (two sharing), departs 27 January 2019, and includes flights and transfers (0344 338 8605; hollandamerica.com). Spend Christmas in the Caribbean this year on Cunard’s Queen Victoria with a Bolsover Cruises Club deal that includes a flight home from New York. Relax on the transatlantic crossing from Southampton to New York then sail down to the US Virgin Islands. There are also calls at Barbados, St Lucia and St Maarten. *19-night Transatlantic Crossing and Caribbean Celebration cruise, departs 15 December 2018, from £2,486pp including flights and transfers (01246 819819; bolsovercruiseclub.com). Seabourn’s new ship, Seabourn Ovation, launches in May and after its inaugural Mediterranean cruises will spend the summer in Scandinavia and the Baltic with several itineraries finishing in Dover. Among them is a 14-day trip from Copenhagen to Dover sailing as far north at Honningsvåg followed by cruising the North Cape. Set sail on what is dubbed the world’s first Discovery Yacht, Scenic Eclipse, on this repositioning cruise from South America to the Canary Islands. Sailing from Argentina’s Buenos Aires there are relaxing days at sea before reaching Brazil’s Rio de Janeiro, where you can see Christ The Redeemer. The Atlantic crossing to Tenerife gives you plenty of time to enjoy Scenic Eclipse’s gourmet dining, spa sanctuary, gym and pools plus daily presentations and entertainment day and night. *18-day Pacific Serenade cruise, from £6,399pp (two sharing), departs 3 January 2019, and includes return flights (0345 505 1920; oceaniacruises.com). Three days in Quebec City, Canada, are the jewel in the crown of this autumn round trip from New York. The cruise sails up the coast of New England to Rockland in Maine and visits Canada’s charming small towns including Corner Brook, where Captain James Cook is commemorated, Sept-Îles with its Innu community and Saguenay, surrounded by river, forest and mountains. *14-night New England & Canada cruise, departs 23 September 2018, from £2,759pp including flights and transfers (01246 819819; bolsovercruiseclub.com). Among Holland America’s new winter 2018/19 itineraries on the refurbished MS Westerdam is its China, South Korea & Japan cruise, which starts with an overnight in Shanghai. There are also overnights in Tianjin, for excursions to Beijing. *14-night China, South Korea & Japan cruise, from £2,049pp (two sharing), departs 17 February 2019, and includes flights and transfers (0344 338 8605; hollandamerica.com). Seabourn’s 21-day Route of the Vikings leaves Dover for Cornwall, Wales and 11 days exploring western Scotland, followed by four days in Iceland and two in Greenland, finishing in Iceland’s capital Reykjavik. *21-day Route of the Vikings cruise, departs 16 July 2018, from £7,999pp (two sharing) cruise only, including drinks and gratuities (0344 338 8615; seabourn.com). Silversea’s Silver Discoverer will visit four new ports of call across Japan in 2018, including the island of Yakushima – one of Japan’s first UNESCO World Heritage Sites. Sailing from Kobe to nine other Japanese ports, the trip includes four Philippines ports, finishing in Manila. *13-day Asia Expedition cruise, from £9,300pp (two sharing) cruise only, departs 17 April 2018, and includes expert-led expeditions, all-inclusive drinks, free wifi and onboard gratuities (0844 251 0837; silversea.com). Winter 2018/2019 is Saga Pearl II’s farewell season with Saga before its first new-build, Spirit of Discovery, arrives in summer 2019. But before the 449-passenger Saga Pearl II takes her last voyage exploring off Africa in February 2019, there a few shorter cruises, such as the four-night Amsterdam Escape, a round trip from Portsmouth to Zeebrugge in Belgium and IJmuiden in Holland. *Four-night Amsterdam Escape cruise, departs 30 November 2018, from £499pp (two sharing) including gratuities, wine with lunch and dinner, and door-to-door chauffeur transfers (0808 223 0914; travel.saga.co.uk). Sailing through the Panama Canal is on the wish list for many and Cruise Direction’s great-value Celebrity Cruises package can make it a reality. After a night in a Fort Lauderdale hotel in Florida, it’s a simple journey to join Celebrity Infinity and set off to historic Cartagena in Colombia and Colón in Panama to make a westward transit of the canal and call at several Central America destinations on the way to San Diego, California, and a flight home. *17-night Panama Canal Full Transit cruise and stay, departs 1 May 2018, from £1,999pp (two sharing) including return flights and transfers, hotel and cruise (0800 0125 888; cruisedirection.co.uk). The first cruise on Ponant’s new ship Le Lapérouse is a trip around the island of Iceland from Reykjavik and includes an overnight in the capital as well as stops at Ísafjörður in the north west; Grímsey island, known for its basalt cliffs full of sea birds; Akureyri with its historic town centre, Seyðisfjörður featuring colourful houses and waterfalls, and the volcanic island of Heimaey. *Seven-night Icelandic Mosaic cruise, departs 19 June 2018, from £4,106 (€4,610), cruise only, including drinks (+33 4 88 66 64 00; en.ponant.com). 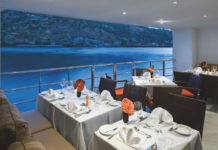 Crystal Serenity has emerged from a multi-million-dollar refurbishment in October with new suites and more dining options. So Bolsover Cruise Club’s San Francisco to New York cruise via Central American countries to the Bahamas and east coast USA will be more luxurious than ever. *20-night San Francisco to New York cruise, departs 10 August 2018, from £2,067pp cruise only, including tips (01246 819819; bolsovercruiseclub.com). There’s a rare chance to join Oceania Cruises’ Nautica from Dublin in June to sail to the far north of Norway and around to Russia’s Murmansk, Solovetsky Islands and Archangel. The cruise finishes at Norway’s capital, Oslo, and includes free unlimited wifi plus a choice of excursions, a drinks package or $800 onboard credit. *20-day Midnight Sun Medley cruise, from £6,309pp (two sharing), departs 28 June 2018, and includes return flights (0345 505 1920; oceaniacruises.com). of the country’s largest colonies of elves. Or so it claims. Save £600pp by booking now. *15-night Adventure to the North Cape cruise, departs 24 June 2018, from £2,499pp (two sharing) including drinks, gratuities and door-to-door chauffeur transfers (0808 223 0914; travel.saga.co.uk). Snap up a bargain repositioning cruise from the Caribbean back to Britain on P&O Cruises’ flagship Britannia, with a fly-cruise package from Bolsover Cruise Club. After an overnight stop and full day in Bridgetown, Barbados, there are calls at St Lucia, St Kitts and Nevis and Antigua before settling down for a transatlantic crossing to the Azores followed by three days at sea to Southampton. *14-night Caribbean and Azores cruise, departs 16 March 2018, from £1,069 including flights and transfers to Barbados (01246 819819; bolsovercruiseclub.com). Ponant’s new ship Le Champlain makes its first cruise from Civitavecchia in Italy to Valletta in Malta, sailing along Italy’s romantic Amalfi coast in a new itinerary that also includes Palermo in Sicily. *Seven-night Amalfi Coast to Malta cruise, departs 20 September 2018, from £3,367pp (€3,780), cruise only, including drinks (+33 4 88 66 64 00; en.ponant.com). Stay in one of Italy’s most romantic destinations, Sorrento, and join a free day trip to Pompeii and neighbouring volcano Vesuvius before taking the coastal train from Naples to Rome for two days in Italy’s capital and an included tour of the Vatican Museum, Sistine Chapel and St Peter’s Basilica. This Cruise Direction cruise-and-stay package includes seven days on board Celebrity Constellation, sailing from Civitavecchia to Barcelona. *14-night Sorrento, Saints & Sangria cruise and stay, departs 18 June 2018, from £1,899pp (two sharing) including return flights and transfers, hotels, tours and cruise (0800 0125 888; cruisedirection.co.uk). Aegean Odyssey makes a maiden voyage to Norway with a return trip from London to the fjords. But, unusually, the cruise also calls at Norway’s capital Oslo and Holland’s fascinating Amsterdam plus Rosyth for Edinburgh. *15-day Norwegian Fjords cruise, from £2,795pp (two sharing) departs 23 June 2018, and includes 10 tours, onboard gratuities and wine with dinner (01865 565816; voyagestoantiquity.com). See the Greek islands of Corfu, Mykonos and Cephalonia as well as spending a day in Athens in Cruise Direction’s Venice roundtrip cruise down the Adriatic coast. 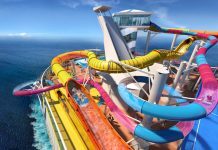 There’s also two nights in a four-star Venice hotel plus a free deluxe drinks package on board Royal Caribbean’s 2,435-guest ship Rhapsody of the Seas. *10-night Venice & Greek Islands cruise and stay holiday, departs 17 October 2018, from £1,499pp (two sharing) including return flights and transfers, hotel, cruise and drinks package (0800 0125 888; cruisedirection.co.uk). 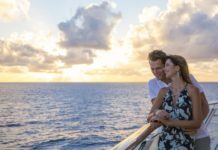 Cruises to Hawaii take four days at sea from Los Angeles, so what better ship for sea days than Crystal Cruises’ newly-refurbished Crystal Symphony? This Bolsover Cruise Club deal has an overnight in Oahu, Honolulu, plus full days in Kailua-Kona and Maui before crossing back over the Pacific to Canada for an overnight in Vancouver. *16-night Hawaiian Interlude cruise, departs 18 May 2018, from £4,331pp cruise only, including drinks and gratuities (01246 819819; bolsovercruiseclub.com). Norwegian Cruise Line has several last-minute fly-cruise deal from New York to Florida and the Bahamas. Spend a day at Port Canaveral visiting the Kennedy Space Centre, book an excursion to Orlando’s theme parks or to see alligators in the Everglades. Then relax on the beach at Great Stirrup Bay, NCL’s private island in the Bahamas, before arriving at the capital Nassau for duty free shopping. *Seven-day Bahama & Florida, Round Trip New York fly-cruise, departs 5 May 2018, from £1,718pp (two sharing) including return flights and transfers (0333 241 2319; ncl.com). A price drop for Bolsover Cruise Club’s Canary Islands and Portugal cruise on board P&O Cruises’ Britannia makes for a tempting sunshine break in early April. The round trip from Southampton calls at Madeira on the way to the Canary Islands of La Palma, Tenerife, Gran Canaria and Lanzarote, with a call at Portugal’s capital Lisbon on the way home. *14-night Canary Islands and Portugal cruise, departs 8 April 2018, from £879pp (01246 819819; bolsovercruiseclub.com). post-cruise stay gives you two nights to see Abu Dhabi’s fabulous museums and attractions. *22-night Oriental Treasures to Arabian Nights cruise and stay, departs 20 February 2018, from £2,119pp (two sharing) including return flights and transfers, hotel, tours and cruise (0800 0125 888; cruisedirection.co.uk). Germany’s Hapag-Lloyd Cruises is increasing its English-speaking itineraries, with its luxury expedition ship MS Hanseatic spending August and September in the high Arctic. Its Expedition Course North Pole cruise visits the Northern Canadian Arctic islands Baffin, Beechey and Ellesmere, as well as west and northwest Greenland. *18-day Expedition Course North Pole departs 7 August 2018, from £12,265pp (two sharing) cruise only, including drinks (+49 40 3070 30 555; hl-cruises.com). Return flights and a pre-cruise hotel stay are included in Princess Cruises’ low deposit deal on its Alaska cruise from Vancouver to Anchorage if booked by 28 February. The week includes the chance to kayak through Icy Strait Point or in search of whales at Juneau, while Skagway retains a flavour of its gold rush history. *Seven-night Voyage of the Glaciers, departs 5 September 2018, from £1,514pp (two sharing), including return flights, transfers and hotel stay (0344 338 8672; princess.com). Thailand’s Koh Kradan island is a new destination for Hapag-Lloyd Cruises while Indonesia’s Menyawakan Island is off the tourist trail. See both with an overnight in Singapore on this Europa 2 cruise from Sri Lanka to Bali. *17-day Colombo to Benoa cruise, departs 26 February 2018, from £7,620pp (two sharing) including flights, transfers and drinks (0800 0513 829; hl-cruises.com). To celebrate its 30th anniversary, French cruise company Ponant has an exceptional new itinerary, from Lorient to Saint-Malo in Brittany taking in the Ponant Isles – the French Western Isles – whose name mean “where the sun sets”. It also visits Concarneau, a beautiful walled town. (+33 4 88 66 64 00; en.ponant.com). Stay two nights in Rome with free Skip The Line Tour tickets to the Vatican Museums, Sistine Chapel and St Peter’s Basilica before transferring to Civitavecchia to join Celebrity Cruises’ Celebrity Refection for a destination-packed Eastern Mediterranean cruise. Princess also has a low deposit deal on its Japan and South Korea round trip from Yokohama near Tokyo if you book by February 28. The cruise circumnavigates Japan’s main islands and calls at Yokohama for excursions to Tokyo halfway through the trip and twice at Busan near Seoul in South Korea as well as five other Japanese destinations. Join a Strictly Come Dancing cruise on P&O Cruises’ Azura with a deal from Bolsover Cruise Club. The Southampton return trip calls at Spain’s Alicante, Barcelona and the Roman city of Cartagena plus Toulon in southern France and La Spezia on the Italian Riviera near the UNESCO-listed Cinque Terre fishing villages. *14-night Spain, France and Italy cruise, departs 13 April 2018, from £939pp (01246 819819; bolsovercruiseclub.com). Oceania Cruises’ extraordinary trip on board Marina offers close encounters with stingrays and blacktip sharks in an ancient sandbank crater rim on Bora Bora in French Polynesia. Avalon Waterways is offering a nine-day trip to the Galápagos Islands including flights and a pre-cruise hotel stay in Quito, Ecuador. (two adults sharing), including return flights, transfers, hotel stay and tours (0800 668 1843; avaloncruises.co.uk).